The brave efforts of the pilots and crew of the RAF during the Second World War are well-known but there was another body of aviators that played a significant role in the conflict the men and women of the civilian airlines. The British Overseas Airways Corporation (BOAC) was formed shortly after the outbreak of war in November 1939 by the amalgamation of Imperial Airways and British Airways. During the war BOAC operated as directed by the Secretary of State for Air, initially as the transport service for the RAF and with no requirement to act commercially. The inaugural BOAC had eighty-two aircraft, a large proportion of which were seaplanes and flying boats. With 54,000 miles of air routes over many parts of the world, ranging from the Arctic to South Africa, from the Atlantic coast of America to the eastern coast of India, the aircraft of the BOAC kept wartime Britain connected with its colonies and the free world, often under enemy fire. Over these routes, carrying mail, cargo and personnel, the men and machines of BOAC flew in the region of 19,000,000 miles a year. 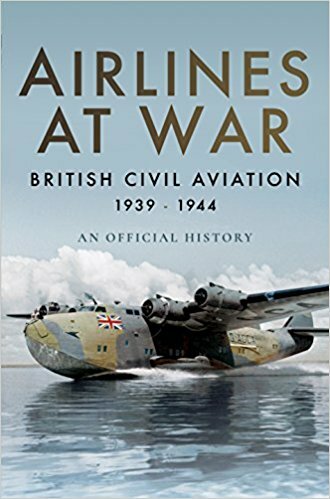 There can rarely have been a moment, throughout the war, when aircraft of the British merchant air service were not flying somewhere along the routes, despite losses from enemy action. This book explores much of their war history between 1939 and 1944 (the year that marked the 25th anniversary of British commercial aviation), something of their lives and their achievements in linking up the battlefronts at times cut off from any direct land or sea contacts with the Home Front and in transporting supplies through the new, dangerous and often uncharted regions of the air. With the Speedbird symbol or the Union Flag emblazoned on its aircraft the BOAC really did fly the flag for Britain throughout the wartime world.